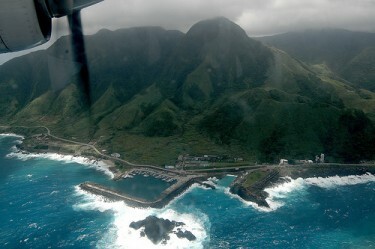 Four years after the first Taiwanese nuclear power plant was built in 1970, the Taiwan Atomic Energy Council decided to dump its nuclear waste at Orchid Island (Lanyu) , where the indigenous Tao people (Yami)  have lived for generations. More than twenty years have passed, the radioactive waste barrels have eroded with rust and it seems that no one is ready to take care of the problem. There are two nuclear waste storage sites  [zh] on Orchid Island. Every week, boats from Taiwan bring the radioactive waste to Orchid Island dumping 45,000 barrels of waste on the beautiful island annually.